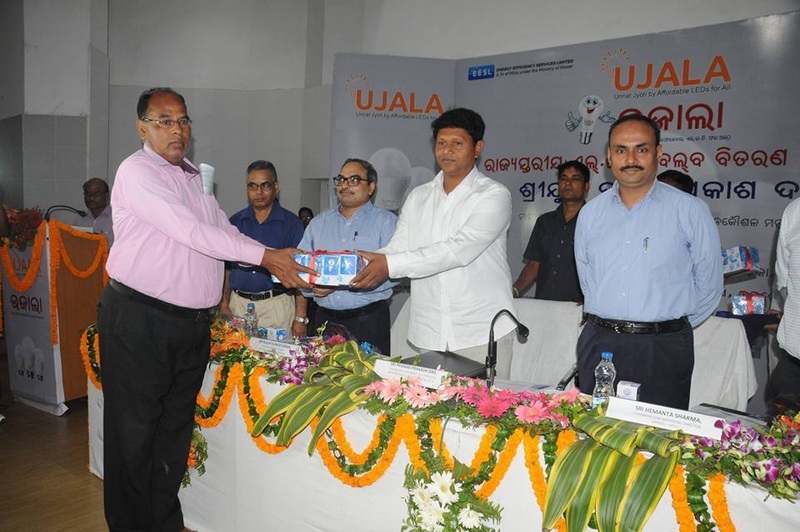 The Government of India’s UJALA (Unnat Jyoti by Affordable LEDs for All) was launched in Odisha by Energy Minister Pranab Prakash Das. He distributed LED bulbs to the people to mark the launch of the scheme. The launching ceremony was held at the IDCOL Auditorium, Bhubaneswar. The UJALA programme was known as DELP ( Domestic Efficient Lighting Programme) earlier. The scheme was launched by PM Modi on 5th January, 2015. As of now, 11 States and UTs in India have implemented UJALA scheme. Under UJALA scheme, all households in the state will get up to 10 LED bulbs of 9W at Rs 85 each. Each bulb will have three-year warranty. The Energy Efficiency Services Limited or EESL, a Joint Venture Company of PSUs of Ministry of Power, Govt. of India, has undertaken the job of distributing LED bulbs to the common people. The ESSL will open kiosks at each energy bill collection centre to sell the LED bulbs.